I had a few minutes yesterday when I was in Mandan so I stopped at Dollar Store of Mandan. As soon as I walked in my heart dropped. Right by the door were Donna Downey’s scrapbooking books. The books came out several years ago. 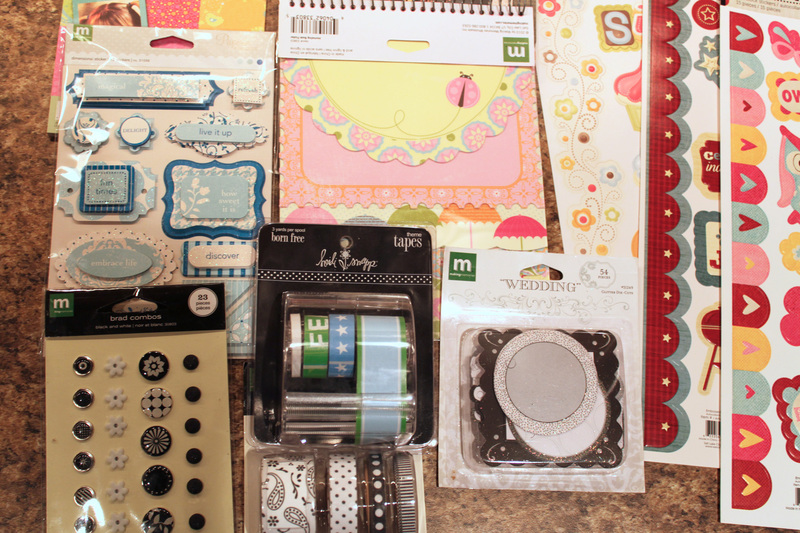 I always thought they were cute but not completely my scrapbooking style, so I didn’t buy them for the $15 sales price. But now they were at Dollar Store. Yep $1 each. I had to grab them. Then I walked back to the scrapbooking section and whoa, they had just received a shipment in. I found all of this for $14. 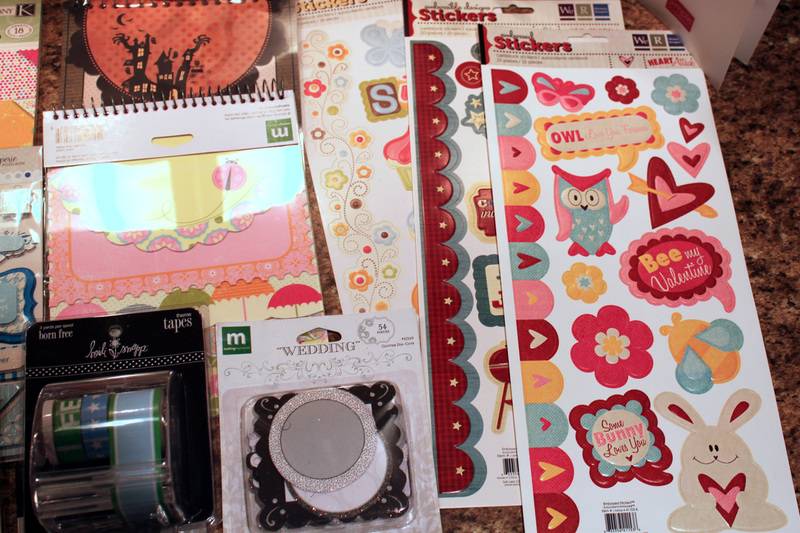 I got some cute Making Memories journal books, stickers, tape and brads as well as Heidi Swapp tape. I also found 3 We R Memory Makers stickers. There is even a small K&Company pad of paper. I say it was worth the stop. I paid less for all 14 items then I would have for one of the books a few years back. I don’t mind because it is all new stuff to me. Now I am anxious to get scrapping; where can I make the time? Have you found anything fun at the Dollar Store lately? 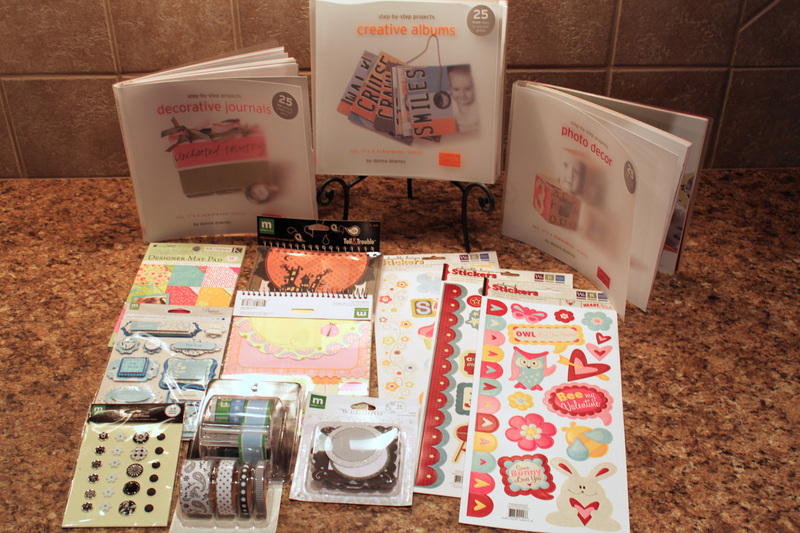 This entry was posted in Dollar Store Finds, Scrapbooking by Karen Grosz. Bookmark the permalink.